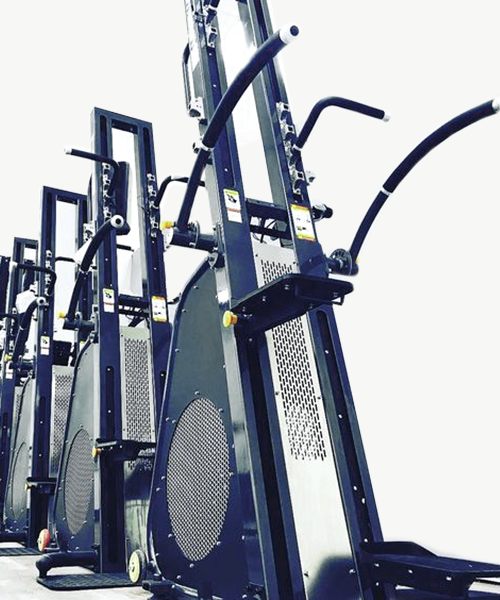 Whether you are an elite athlete, novice beginner, fitness fanatic or rehabilitating, the Summit Power Tower caters to all levels. With a simple change of handles and foot plates, you can choose to train upper body, lower body, bilateral or unilateral. There is virtually no limit with the Summit Power Tower. 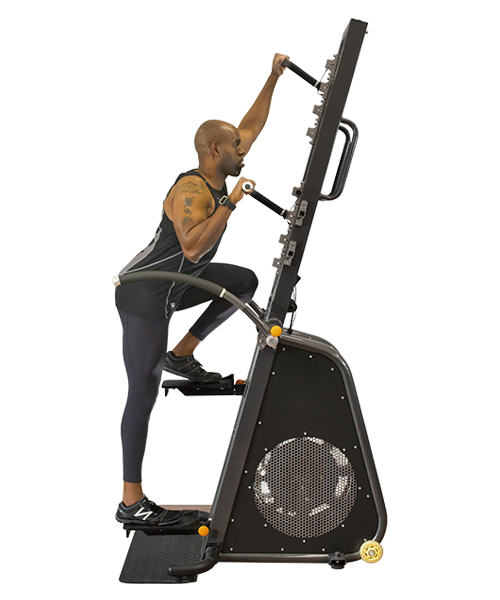 With no energy or power cords required to operate, the Summit Power Tower provides maximum versatility in a gym facility, personal training or group training environment, fitness studio or home. Combining quality craftsmanship and modern technology, the Summit Power Tower is designed to last. Constructed with an aluminum steel frame, double pulley system within a 4′ x 3′ footprint, the Summit Power Tower stands behind a 25-year structural frame warranty. 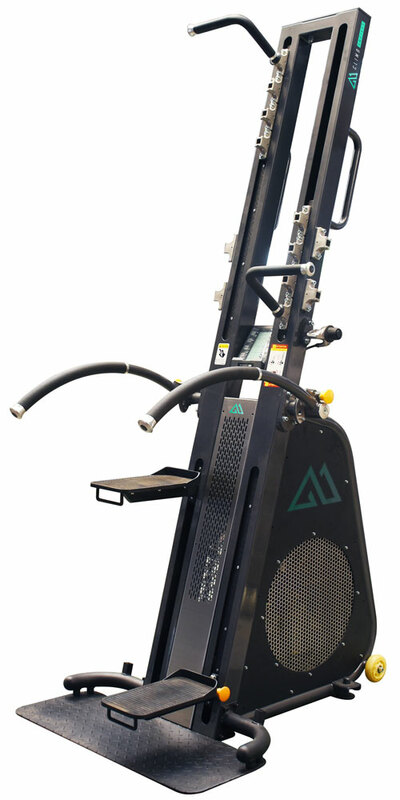 Through the patented integration of a Continuous Variable Transmission (CVT) and our air turbine, we can generate an unprecedented range of power, making the Summit Power Tower an obvious choice for both the elite athlete or novice beginner. The Summit Power Tower has the ability to produce anything from 14 watts up towards 1.5 mil watts and all in a smooth transition. © 2018 Climb Society LLC, All rights reserved.